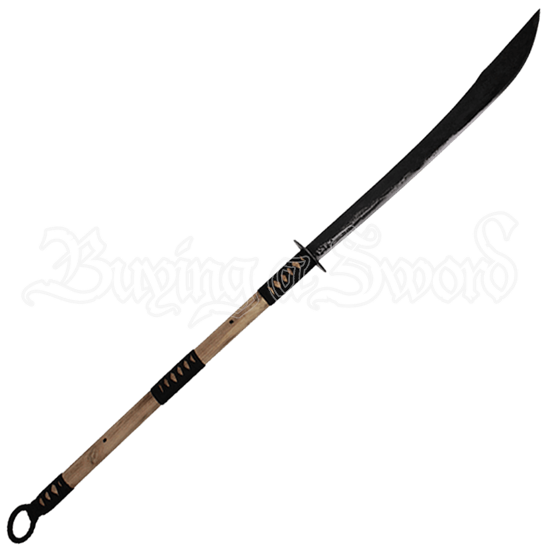 Weapons like this Japanese Naginata Polearm were originally used by the samurai class of feudal Japan, but they were also used by foot soldiers and warrior monks. These iconic weapons were often used to create space during battle. Made from stainless steel, the blade at the head of this weapon features a black coating that provides extra durability and a tactical appearance. A wooden handle gives the polearm an aged look. The handle is wrapped in cotton at three different places to offer a secure grip. At the end of the handle is a cotton wrapped steel ring. 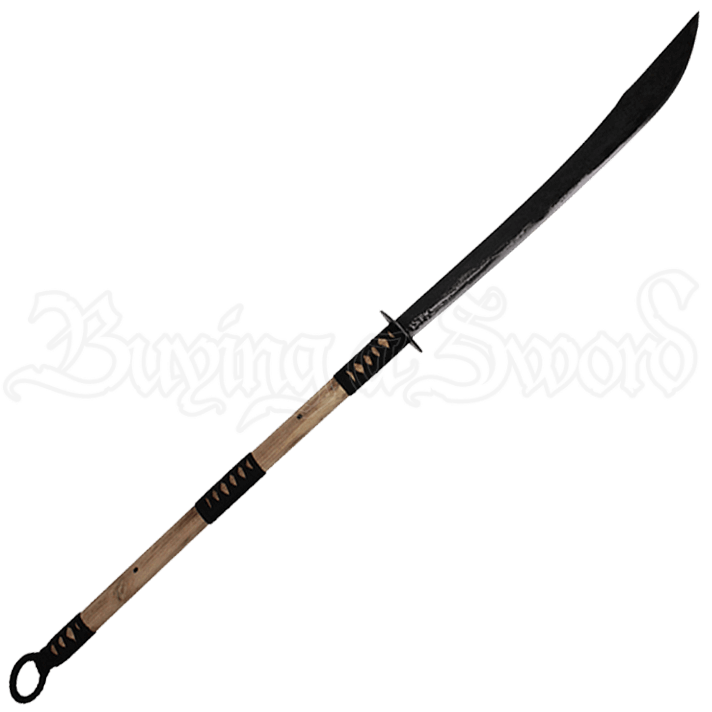 If you have an appreciation for traditional Japanese weapons, make sure you consider adding this massive weapon to your collection.